WMBEXA Best New Business 2017! We are totally blown away! This year seems to be a total whirlwind of activity, nominations and growth for us at the clinic. 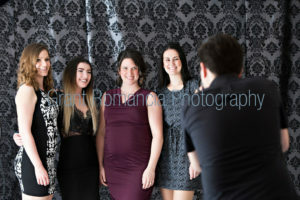 The Warman and Martensville Chambers of Commerce presented the second annual WMBEXA, and we were thrilled to be nominated in several categories. Only able to apply for two we were floored to be a finalist in Customer Service and New Business announced March 2017. 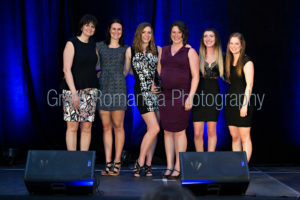 Since the announcement of finalists for WMBEXA, Haylie was also revealed as a nominee for the YWCA Women of Distinction Awards for Health & Wellness, we announced the arrival of physiotherapist Kendra Usunier to begin work as of May 23, 2017, and we also had the pleasure of welcoming a student, Jill, for her first clinical placement in the MPT program through April and the first week in May. 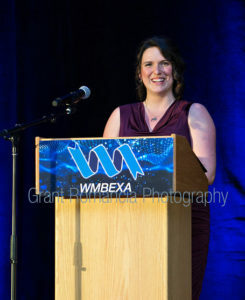 May 5, 2017 was the WMBEXA event and it was spectacular! Many exceptional local businesses were finalists, many more had been nominated in 5 categories, and dozens of other businesses were a part of the event to network and enjoy the event. Much to our shock and amazement, Warman Physiotherapy & Wellness was awarded the best New Business of 2017! 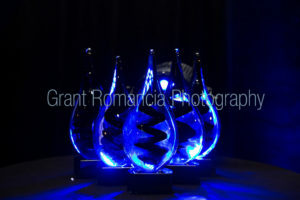 “I was thrilled to be a finalist in the company of 4 other amazing businesses. It seems that I although I have no problem talking for hours on end about the pelvic floor and all things physio, I have difficulty standing up for a 2 minute acceptance speech! This clinic has been a vision of mine since I was in the school for Physical Therapy and I am so fortunate to have been able to make my dream a reality. This dream coming true would not be possible without the support of my family. My parents for being supportive and providing assistance whenever needed. My wonderful amazing and supportive family; my husband, Rob, for allowing me to work days, nights and weekends; often 60+ hours a week, as well as being our resident clinic ‘handy man’. My 3 year old daughter Emily for coming to the clinic ‘to do work stuff’ and dance with the skeleton when I’m sneaking in a client in need on a day off. THANK YOU. I must thank my wonderful therapists and our support staff. They have been an integral part of the success of the clinic, and have fully embraced my business vision. It is common to see and hear crying babies and children at the clinic since we see so many women who are pregnant and post-partum, we feel providing care is most important, regardless of the ability to find childcare. THANK YOU. Helping you, help yourself. From infancy to old age. https://www.warmanphysio.com/wp-content/uploads/2016/05/warmanphysio-300x110.png 0 0 Haylie Lashta https://www.warmanphysio.com/wp-content/uploads/2016/05/warmanphysio-300x110.png Haylie Lashta2017-05-10 20:18:332018-11-08 14:58:20WMBEXA Best New Business 2017!